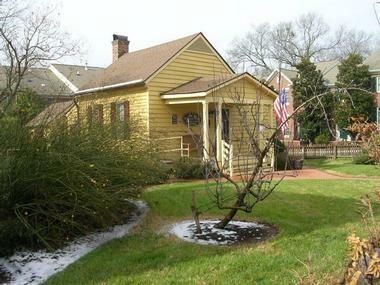 The Joel Lane Museum House in Raleigh, North Carolina, also known as Wakefield is a historic restored home and museum that is dedicated to exploring and showcasing the history of Raleigh. Named after Joel Lane, who was otherwise known as the ‘Father of Raleigh’ and the ‘Father of Wake County,’ the Joel Lane Museum House is located in the heart of Raleigh and is the oldest home in Wake County. 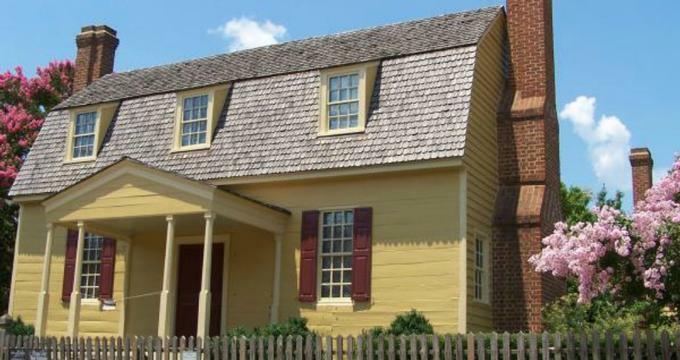 Built in 1769, the beautifully restored historic house tells the story of Joel Lane and the vital role he played in the transition of North Carolina from a colony to a state and the subsequent establishment of Raleigh as the state capital. 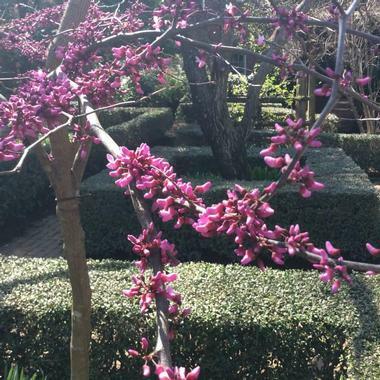 The plantation manor house stands on a hill overlooking Raleigh and features beautifully restored examples of 18th-century-period furnishings and historical artifacts, a formal city garden, and a beautifully maintained period herb garden. After Lane’s death, the property changed ownership several times and in 1927 was purchased by the National Society of Colonial Dames of American to ensure its preservation. The organization continues to operate the award-winning heritage site and house today, which is a Raleigh Historic Landmark as a museum that is open for the public to explore and enjoy. 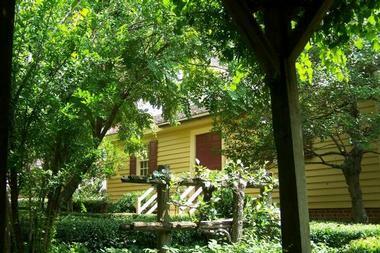 The Joel Lane Museum House features two beautifully maintained gardens, namely The Formal Garden and the Herb Garden. The Formal Garden can be found behind Joel Lane’s home, and features clipped hedges and brick parterres, as well as a four golden rain trees that create a lovely shaded area. The herb garden is situated next to the kitchen building for convenience and easy access to use when cooking and features an array of herbs and spices, gravel paths and wooden edging. The mission of the Joel Lane Museum House is to educate the public about the life of Colonel Joel Lane and the role he played in the development of the area from a colony into a state. It also explores 18th-century life in Wake County and encourages visitors to take an interest in the rich history and heritage of the area and how much life has changed. The Joel Lane Museum House offers several educational programs, workshops, and presentations for both teachers and students. Field Trips include visiting two homes that Joel Lane occupied and exploring how different life was in the 1700s. Tours range from 20 to 45 minutes depending on the children’s ages and involved hands-on activities and immersive presentations that offer a chance to touch and interact with reproduction artifacts. Standard field trip tour highlights include visits to two homes, the formal and herb gardens, the hardware and the grocery store, while specialized tours can be arranged for older students and cover topics such as the design, function and geographical location of the house. On-Site Presentations are available for adult groups and feature costumed docents bringing the 18th century to life with hands-on history tours and reproduction artifacts to touch and explore, such as baskets and pottery, and clothing. Other topics discussed on these tours include Colonial Schooling: What and Where Did Children Learn? Life Without Electricity - how people cooked and lit their homes, and Gender Roles – the role of the male and female in 18th-century life. The Joel Lane Museum House is located at the conjunction of West Hargett and St. Mary’s and Streets in Raleigh and is open Wednesday through Sunday. Free on-street parking is available in front of the Museum House on Hargett Street and in front of the Visitors Center on Saint Mary’s Street and the Joel Lane House, and Visitor Center are wheelchair accessible. The Joel Lane Museum House and the Visitors Center can be rented for special events and functions, such as weddings, receptions, luncheons and cocktail parties with the beautiful gardens creating a perfect backdrop for any occasion. The Museum can offer extra value-added services such as catering, table, and chairs, personnel and tours at an additional cost, all of which needs to be arranged in advance. Built about 1840, the Visitors Center was a later addition to the side of Joel Lane’s home and today houses a gift shop and administrative offices. The Visitors Center is located at 160 South St. Mary’s Street, Raleigh NC 27603 and this is where all the tours of the Museum begin and end.